When you're working on your own to assemble DIY projects, it can be difficult to hold everything firmly in place while you drill and join pieces together. The Grip adjustable corner clamps act as an extra pair of hands and hold your project together while you work. You can also use the Grip heavy-duty adjustable 90-degree corner clamp to hold pieces tightly together when you need to glue joints. 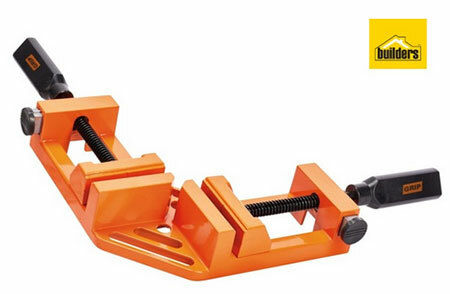 Made from aluminium alloy, the adjustable corner clamp makes easy work when assembling wood pieces. 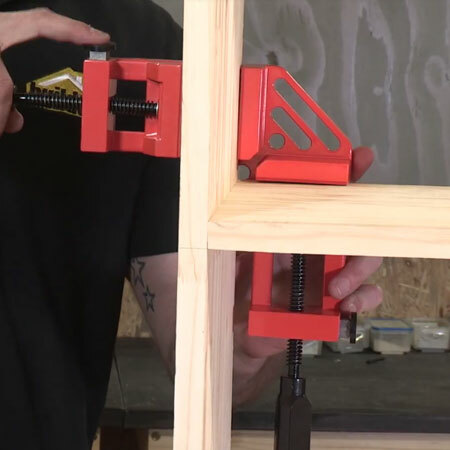 The clamp can be used when joining almost any type of joint, including corner joints, and is very useful when joining mitre cuts, such as when making picture frames. Quick adjustment release buttons making setting up a breeze and the jaws close with enough force to hold your pieces together and keep the mating surfaces from moving. Invest in a Grip adjustable corner clamp if you work on your own - it's a simple and effective way to save on assembly time and have an extra pair of hands when you need them. 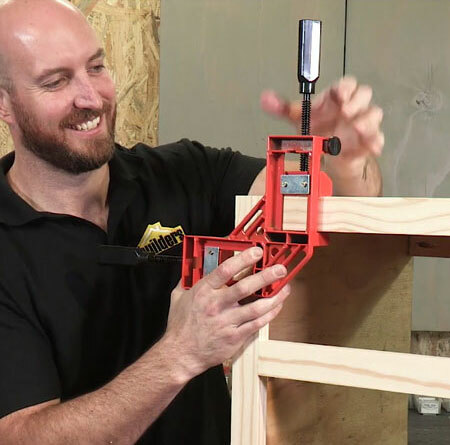 Watch the video below to see how easy it is to set up and use the corner clamps.